Brian Molefe, the CEO of South Africa’s state-owned power utility, said he will leave Eskom following the release of a report by the nation’s graft ombudsman into the influence of the wealthy Gupta family on the state and the company. Molefe, who joined Eskom in April 2015, was accused in a report by the public protector published on 2 November of favouring the Gupta family, which is in business with President Jacob Zuma’s son, by handing out coal supply contracts and helping them buy Optimum Coal. He and Eskom deny wrongdoing. “Brian is the fallen angel for investors,” said Peter Attard Montalto, a London-based economist at Nomura International Plc. He is “now implicated in alleged grand corruption and rent extraction”. 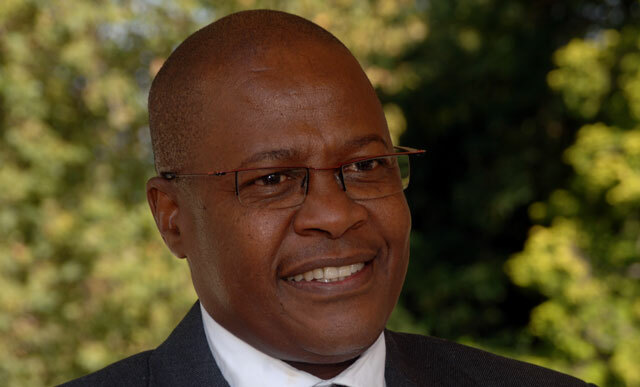 Molefe helped oversee an end to rotational power cuts that crippled Africa’s most industrialised economy in the first half of last year, implementing a maintenance programme designed to trim blackouts. He previously ran Transnet, the country’s profitable rail and logistics company. The report, written by former public protector Thuli Madonsela, rocked South Africa’s political elite earlier this month as it published evidence that appeared to show the Gupta family exerting undue influence over Zuma’s government and state-owned entities for commercial gain. The Guptas and Zuma deny wrongdoing. Mobile phone records show Molefe called Ajay Gupta 44 times from August last year through to March, while Gupta called the Eskom CEO 14 times, according to the report. “I am confident that, when the time comes, I will be able to show that I have done nothing wrong and that my name will be cleared,” Molefe said in the statement. Eskom’s US$1,2bn of bonds due in February 2025 extended declines after the news, with the yield climbing 43 basis points to 7,75%, the highest since 28 June. At a briefing last week, Molefe wept as he said there was “no basis” to the public protector’s findings. Madonsela cancelled a meeting in which he was supposed to give his version of events, he said. In her 355-page report, Madonsela gave a directive that chief justice Mogoeng Mogoeng name a judge to chair a judicial commission of inquiry into allegations of the Guptas’ influence. Eskom is considering taking the report on legal review, company secretary Suzanne Daniels said last week. Doing this “will just prolong the agony and may mean they never get a real chance to clear their names”, Madonsela said today. She found that Eskom pushed Glencore, Optimum’s previous owner, into “financial distress” by playing hardball over coal contracts last year. Tegeta Exploration & Resources, then part-owned by the Guptas and Zuma’s son, bought Optimum after it was placed into bankruptcy protection. Tegeta was then awarded a R659,6m prepaid coal contract. Eskom and Molefe said they acted legally and wanted to get the best deal for the country at a time when the power utility was struggling to get enough coal and blackouts were an almost daily occurrence. Molefe had a “distinct line of communication” with the Guptas during the sale of Optimum coal, the report said. Given their business links with the Guptas’ business empire, which spans computing, mining and media, Eskom’s board appears to be “improperly appointed”, Madonsela wrote. Both Eskom’s board and its executive committee tried to convince Molefe to stay, company spokesman Khulu Phasiwe said in an interview on Johannesburg-based broadcaster eNCA. They must still see of what criminal activities he are guilty of and must prosecute accordingly. Following the release of the Public Protector’s report Eskom had a briefing where their chairperson, Mr Ben Ngubane, not only attempted to trash the PP but defended his CEO. Molefe would not resign if he was innocent, so why all the drama from him and now suddenly a resignation? Resignation should not get him off the hook and we look forward to him having to justify his actions….This Eskom chair, Mr Ben Ngubane, also sat on the board of the SABC during a lot of the tribulations at the broadcaster and it seems he his never far from these types of corrupt activities. About time he was investigated for same…..
well done Brian, at least you left something of a legacy that will be forever remembered, a shebeen in the northern parts of Jozi. I would suggest bloody awful acting for one, he only managed to cry his way through a piddly half a box of Kleenex on his last public outing. Close, but no cigar Brian. In this country, where there’s smoke there’s usually a raging inferno. If there is no guilt, why then walk away from a very lucrative salary package? No doubt there will be a handsome platinum handshake. Molefe fixes Escom but uses a fiddle to do it (and make money for the Zuptasat the same time). Does he get praised (remember life with blackouts)? I’m not sure Molefe can take credit for ending load shedding. There was shedding in 2007, then a 7 year period of no load shedding, then a year of it, and then 4 months after Molefe came in, it stopped – it takes a lot more than 4 months to fix the issues that led to that load shedding. If Molefe indeed used fiddles to right the Eskom ship, this is very bad news – with him gone, those fiddles end, and we’re back to the situation that plunged us in to load shedding in the first place. So no, he gets no praise for the way he righted the ship, if indeed he did. It’s a bit late pulling the excuse of good corporate governance out of the hat now. And stepping down when you are so sure that you will be able to prove your innocence also doesn’t ring true. What happened to innocent until proven guilty?